Make Thanksgiving prep easy with quick recipes for gravy, mashed potatoes and bread pudding. The Thanksgiving guests are arriving in a few hours and the turkey still isn't even in the oven. Cue the panic! What's a home cook to do? It's likely too late to order a prepared Thanksgiving dinner, and going to one of these restaurants that are open on Thanksgiving isn't going to fly with the guests. If only there was a way to cheat the system ... thankfully, there is! Here to the rescue for all the procrastinators out there (you know who you are), are seven fast last-minute Thanksgiving dinner recipes for turkey, sides and even dessert. Just quickly whip them up before the guests arrive — and calm down with some mulled wine, while you're at it. Believe it or not, it's possible to cook a 12- or 13-pound turkey in only three hours. The key is to butterfly (aka spatchcock) the turkey. 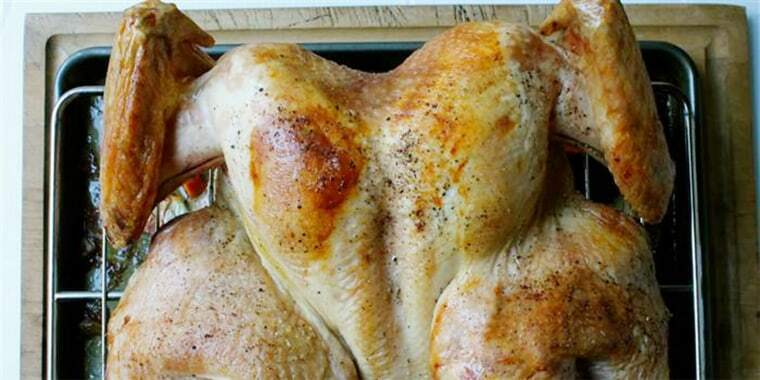 By opening up the bird and flattening it out, the breasts, legs and wings will be on a level playing field. 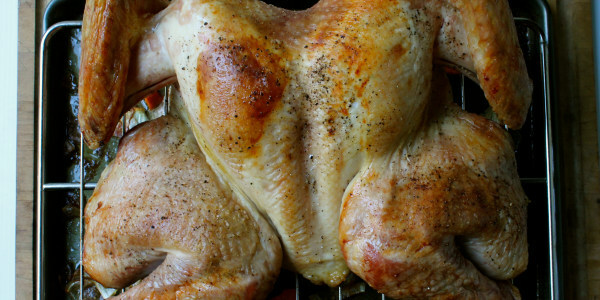 Everything cooks evenly (and more quickly) than a whole bird. "I love this recipe because it saves oven and stove-top space on turkey day when cooking space is at a premium," Elizabeth Heiskell of the Debutante Farmer told TODAY Food. She combines the potatoes with cream cheese, butter and sour cream to make them extra velvety. Cook them on a high setting and they'll be done in only two hours. 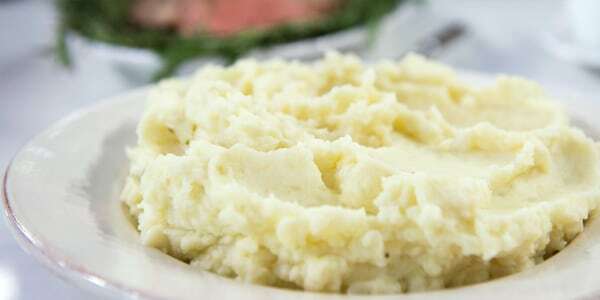 Keeping the mashed potatoes warm in the slow cooker also prevents them from getting gluey before they are served. The secret to this fast Thanksgiving dressing is using store-bought salad croutons which are pre-seasoned. Using a muffin tin, instead of a big casserole dish, also cuts down on the cooking time. 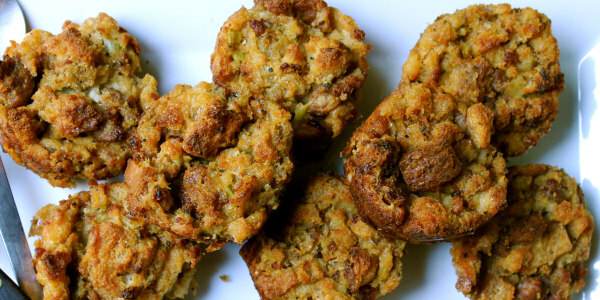 These stuffing cups only need about 30 minutes in the oven. Bake them until they're browned on top and sizzling all around. Simply prepared green vegetables are a welcome relief at a Thanksgiving table that's laden with lots of heavy and buttery dishes. 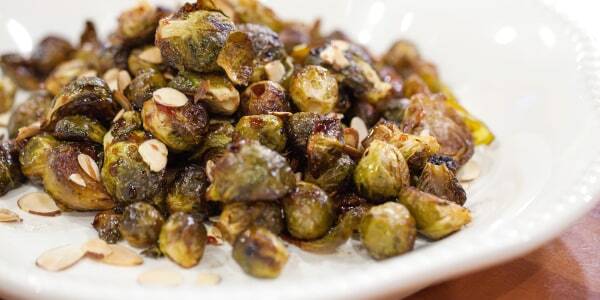 Simply toss Brussels sprouts with olive oil, salt and pepper, then throw them in the oven for 40 minutes. They can be served as is, or consider drizzling them in a slightly sweet and tangy combo of pomegranate juice and maple syrup that have been cooked down. A sprinkle of slivered almonds will add some extra crunch. "This easy gravy is great if you don't have drippings from your turkey," Heiskell told TODAY Food. 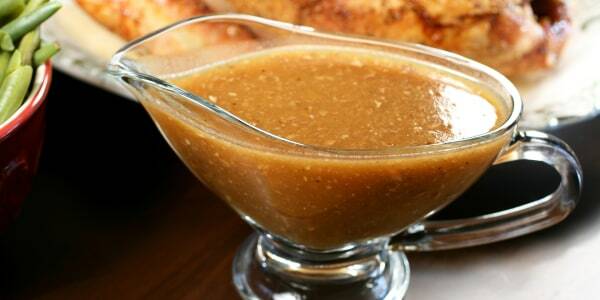 "Even if you fried it or bought your turkey pre-cooked, you can still have amazing gravy." Simply combine butter, flour and pan drippings or chicken stock for an easy and delicious homemade sauce. "The best biscuits are light, fluffy and flaky, and these definitely fit the bill," chef Ryan Scott told TODAY Food. The dough for these biscuits only takes 10 minutes to throw together. Then all they need is a quick 10 to12 minutes in the oven. And, as an added bonus, they're also great for soaking up gravy. 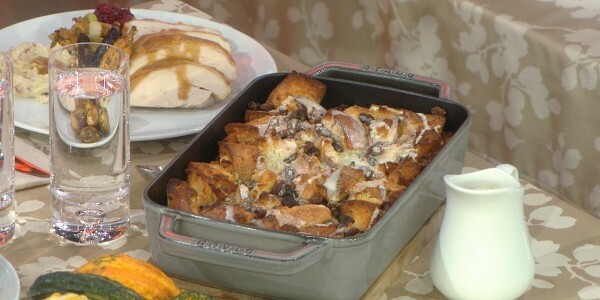 This gooey, warm bread pudding is made with only six ingredients: bread, milk, eggs, sugar, vanilla and margarine. "This is a great dessert to throw together at the last minute because all of the ingredients are in your pantry, and it is the perfect way to use up stale bread," Heiskell told TODAY Food. A drizzle of boozy whiskey sauce is the perfect finishing touch.